Isn’t this fun?!! I think this is such a cute Vintage Postcard! 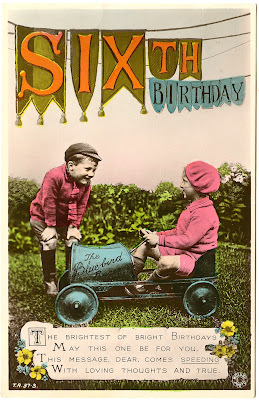 The card shows two Children with a fun Old Pedal Car. It was meant to be used as a 6th Birthday Card. Adorable!